Have you ever noticed how good it feels to be outside, connected with Nature? While living in Venezuela, I recognized that the closer to the Earth I am, the better I feel. It was 2009 and under fortunate circumstances, I traveled through much of this beautiful country. rich in natural beauty and gorgeous landscapes. 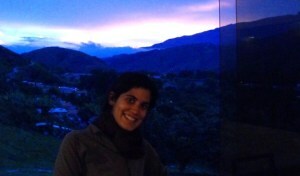 In the State of Merida, something led me to the mountain town of Tabay. An encounter with a local businessman brought me even further into the mountains to a small neighbourhood called El Guamal. The first month my travel partner and I rented the main house on a farm. The following month, we sublet the much smaller house on the same property that was previously abandoned. A couple from Argentina restored the space, and turned it into their home. Unlike the main house, it had no hot water, no oven, no fridge, no balcony or wall to wall windows in the kitchen. It had something special though. I would step outside the front door and feel the earth beneath my toes. The back patio had a small garden abundant with parsley & squash. It was simple and humbling. Ten years prior I would have been squealing about the spiders and complaining because my box spring was nothing more than disassembled cardboard boxes separating the mattress from the floor. With a growing gratitude for everything life has given me, I reflect on this period often since it was such a pivotal time. I remember a friend coming over for the afternoon and she saw that the plastic pail I used for washing clothes had a small leak. She suggested that I get a new one, they don’t cost much. At the neighbourhood shop, I picked one up for the equivalent of $2.00 Canadian and just like that, my daily task was simplified. I had become accustomed to washing my clothes in plastic bags (often with tiny holes) while travelling so I felt the pail was a step up. There was even a time when I bought something from a bookstore and it came in a higher quality plastic bag – that made my day! How is it that once upon a time I saw a plastic bag as garbage? The truth is in North America, to most, it is garbage. At best some municipalities will recycle them, however for the most part – they are waste – and we create a lot of it. More than half of what we consume is plastic, wrapped in plastic then bagged in plastic. If we throw it in the trash when it no longer serves us, it stays in its form for hundreds of years. We can avoid plastic grocery bags altogether by bringing our own bag or box to the store or market. That’s one problem solved (or at least a solution exists), but what about the products that we buy at the store that are already in a bag? Purchasing in bulk helps and if you’re lucky you can bring your own bags or container when shopping. The good thing is I know I’m not alone on this. While in Guatemala I met Susanne Heisse, the strong Spirit behind the Pura Vida Atitlan Movement. With a profound connection to the earth and a desire to make a difference in the lives of many living in rural Guatemala, she brought to life the Eco-Block. 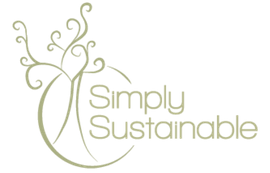 Since then, I have come across a similar style of waste diversion with the Eco Brick by Upcylce Santa Fe and have been inspired by blogger Katie Roberts of Sustainability in Style who has taken on some different environmental challenges. In my last blog ,I mentioned the importance of minimal impact packaging when it comes to coffee. I understand the reasons behind plastic bags (preserves freshness) however if I’ve calculated that I go through 2 pounds a month – 24 pounds a year, that adds up. More importantly, the quality of the bags are excellent, at very best they are recycled after single use which still requires water and energy. This is why on my list of things I look for in a coffee – packaging matters. If I can get my coffee in a brown paper bag that I can compost, I’d much rather. Coffee packaging is just one source of waste leaving an impression on the earth. The more mindful we become about waste, the more conscious we will become as consumers. Once upon a time fat content and calories were the first things I considered when eating something, then it became a matter of ingredients and now – it’s the packaging. Little by little, we can reduce our impact by taking steps supporting sustainability. However, the truth still remains that if we really want to tackle climate change – we need to be taking quantum leaps. Big or small, every effort matters, inspiring a ripple effect of positive change. What are your steps in support of sustainability?